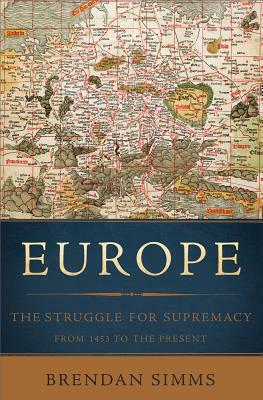 "Brendan Simms is a historian of unusual range and ability.... His new book is nothing less than a history of Europe over the past 550 years.... Writing such a book is a colossally demanding task — the sort of challenge most sane historians would baulk at, unless they had a very clear idea of what they wanted to say. Luckily, knowing what he wants to say is one of Simms's strengths. For this book is driven by two great master-ideas, and there is hardly a page in it where their presence is not felt. So, no matter how dense the details may be of kings, wars, treaties and governments, the reader always has the exhilarating sense of moving swiftly onwards.... Like all truly powerful and original works, this is a book worth disagreeing with. But above all it is a book worth reading."